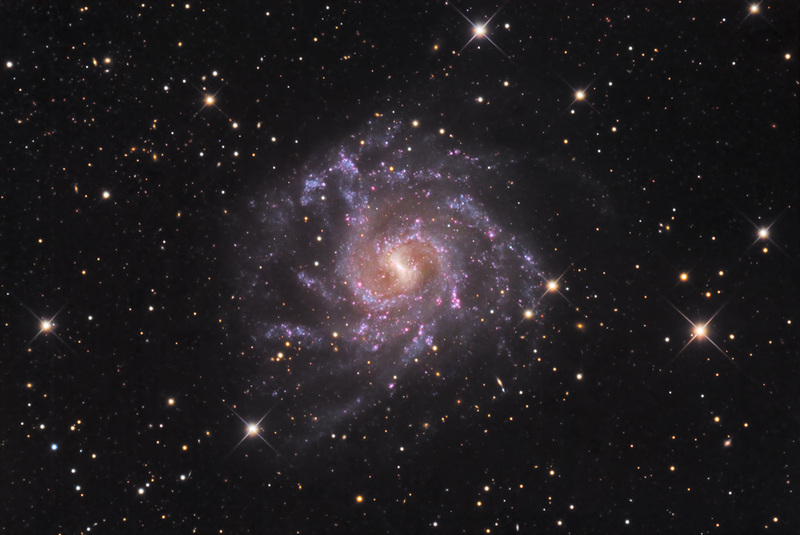 is an intermediate spiral galaxy with the classification (SB) SAB(rs)cd. Seen face-on, the galaxy is 100,000 light-years across and is 37,000,000 light-years away from Earth. Discovered by Sir John Herschel while observing at the Cape of Good Hope, this lovely multi-armed spiral has relatively low surface brightness. The nucleus features a prominent bar and a ring-like structure, and the arms have numerous HII regions of star birth. This data was acquired by SSRO.